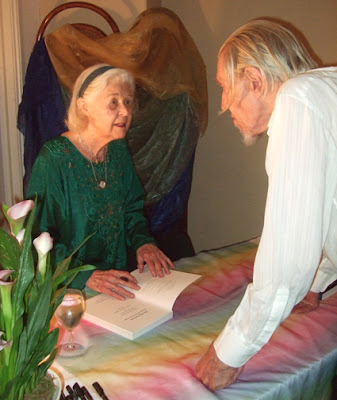 This is a picture of Zach Cox and Jean Williams signing copies of their book The Play Goes On: The Rituals of the Rainbow Bridge at the launch party at Treadwell's bookshop last night. 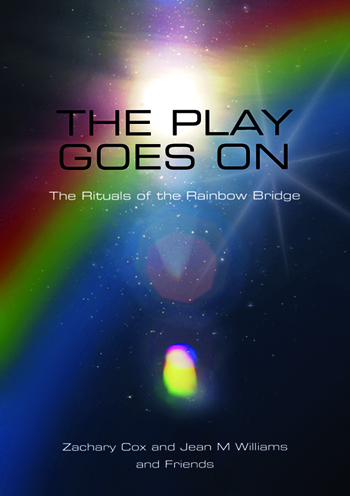 The Companionship of the Rainbow Bridge was an experimental ritual group in the Western Mystery tradition, which was run by Zach and Jean in North London from the late 1970s to the early 1990s. This new book, just published by Starfire, offers 24 beautiful rituals devised by the group, which include drama, music and inspiring words. The launch party was a lovely event - a great chance to meet up with pagan friends from London and further afield as well as to see Jean and Zach and hear about the rituals of the Rainbow Bridge. I'm looking forward to now reading the book and maybe having a go at putting on one or two of the rituals.